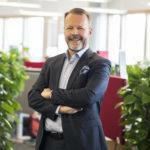 Finnish politician, former chairman of the Swedish People’s Party and the former Minister of Defence of Finland Carl Haglund to accelerate Kaidi Group’s growth in Europe in the rank of Vice President. Looking for a rapid growth in Europe, Sunshine Kaidi New Energy Group, the Chinese renewable energy conglomerate, strengthens its global team with the former Finnish Minister of Defence Carl Haglund, who is also a former member of the European Parliament. Haglund is going to lead Kaidi’s European strategy, in the rank of Vice President. Since the beginning of this year, Kaidi, in collaboration with Spinverse, has been actively working on the launch of the 1 B€ second generation biodiesel refinery in Finnish Lapland. The first of its kind in the world, refinery would be up and running in 2019, producing 200 000 metric tons of a second-generation biofuel from wood-based feedstock. Within this ambitious project Spinverse acts as Kaidi’s representative in Finland and coordinates business development, planning, financing and partner selection. Building on business opportunity offered by European commitment to bioeconomy, Carl Haglund will start in his role in the beginning of August, focusing on strengthening Kaidi’s market position within the EU. Previously, he had served as chairman of the Swedish People’s Party of Finland and the Minister of Defence. Thus Mr. Haglund’s broad international experience and deep knowledge in European markets, are put in good use for the benefit of Kaidi’s growth ambitions in Europe. Established in 2016, Kaidi Finland is a renewable energy company, which plans to build a second generation biodiesel refinery in Ajos, Kemi by the end of 2019. Kaidi Finland is owned by one of China’s largest biorefining actors, Sunshine Kaidi New Energy Group. Established in 1992 it currently has biomass-based power plant engineering and operations around China and in Vietnam.